Texastwostepper who we called Dewey has gone into the PERFECT home. John and Terri who live in Beavercreek came to the Fiehrer Valentine event and just happened to meet Dewey! 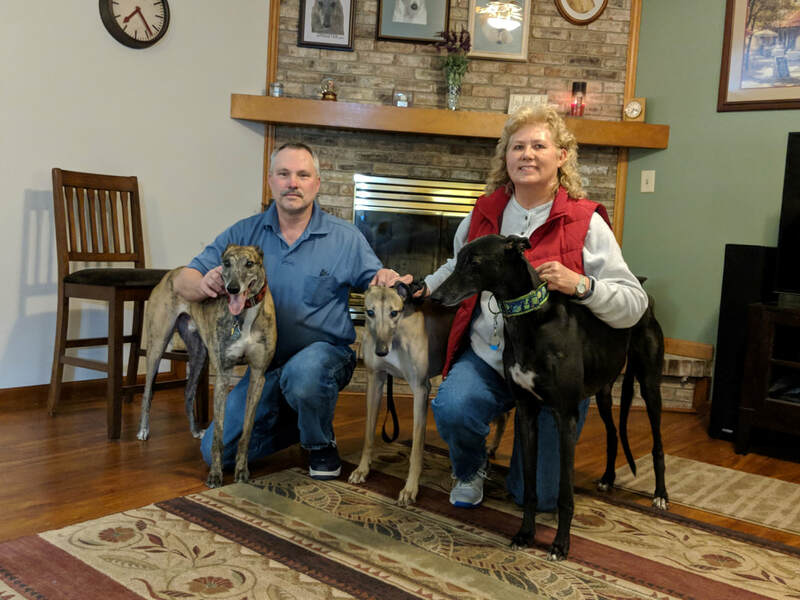 John and Terri have had greyhounds for close to 20 years and knew how special Dewey was. His new roommates are Ace and Jack who welcomed him into their home. This fcouple knew in their hearts he should be part of their family. I couldn't be happier that he found this terrific greyhound home where he will be loved unconditionally.